I am here to declare I won’t buy anymore BB cream. (and use up everything I have or swap them away). Having been using BB cream for over 1 year, I think I can make a good judgement if it is suitable for me or not. Well that’s how it sell it to me. however, it is rather dry to apply on (and you only use little of it) you need to moisture. Yes you don’t need primer or sunscreen as it includes it, but most of the BB cream does not have concealing power compare to a normal concealer. I need to dab some concealer around eye around. So in one way, BB cream wins, but most of the foundation also contains SPF and long lasting nowadays. You can mix BB cream with foundation if you want to wear it. But why spend your time doing it when foundation does the job anyway? This is where i find most of the problem. I have NC30, and basically nearly all BB cream cannot cater for my skin tone. The only bb cream that can ‘adjust’ to my skintone are L’egere Red tube, Missha Shade 23, Nanoce. The rest, bin! 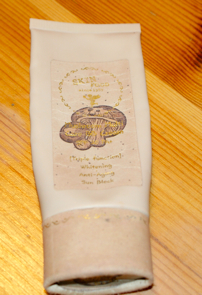 For fairskin you probably ok with most of the bb cream exist. For me.. I’m afraid that bb cream needs to go. again, this varies from brand to brand. Some provides light/featherlike (Begin My Pride, jadilla J, L’egere) coverage, and some with extreme coverage (Missha). We tend to think if BB cream is ‘1’product, the coverage etc should be similar from brand to brand. Oh no, very wrong. Firstly, you need to require new skill to apply bb cream. You use a pea size and fingers to apply. Secondly, you need to wait until it adjust to your skintone before you do anything. All in all, too much fuff and not liking the idea. All in all, do I recommend BB cream to anyone? Yes. if you have some skin treatment and need some gentle foundation. Yes to those who want light coverage. i travel lots and can only pack 1 foundation, so since no idea how bb Cream will perform in each country, it is safer to pack foundation only. Wow! I'm so glad I found your blog. I recently got seduced by BB cream and have been trying to find my fav ever since most are just too dry/caky on me. I'll try some of your suggestions and see how they work out.